Both dominated the discourse for entirely different reasons – the Avengers: Infinity War ending and Lost’s finale both set tongues wagging thanks to its twists, turns, and all the rest. 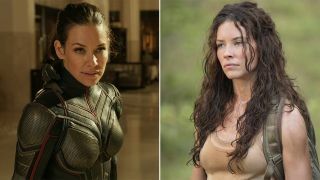 Inevitably, a lot of fans weighed in too, but which was the most controversial ending in the mind of someone closely associated with both - Evangeline Lilly? Do you agree with that? Personally, I loved the Lost ending, but could definitely see why it’s so controversial. It was permanent, too. Despite talks of a Lost revival, you knew that was it. For the likes of Black Panther and Spidey, you get the sneaking suspicion that they’ll still be around for years to come despite what happened in Avengers: Infinity War. Unless Avengers 4 goes a completely different route, that is. That would make the reaction to the Lost ending look positively happy by comparison. It could've been worse. Lost was originally going to end on an erupting volcano. Imagine that.